Eric Ravilious led a short but prolific life. Born in 1903 in London, Ravilious went on to become one of the best-known British artists of the 1930s, illustrating English landscapes, seascapes and depictions of rural life that endeared him to collectors. During the Second World War, he was commissioned to document England's contributions to the war effort, employing an almost lighthearted naivety in his drawings. He used bright, pastel tones and simple lines to illustrate fighter planes and harbours filled with war ships. 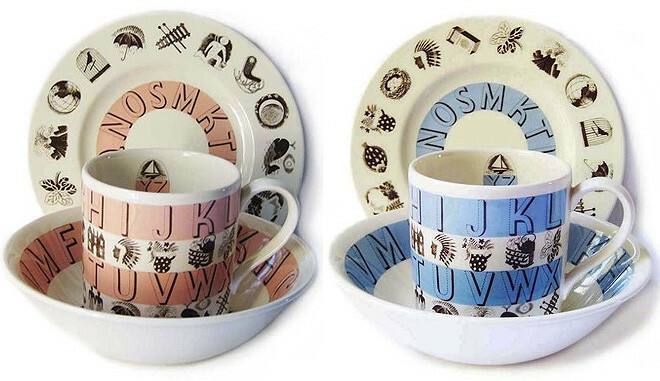 He was also commissioned by Wedgwood to contribute ceramic designs for the lauded British firm, designs that are strikingly modern today with their graphic silhouettes, interesting fonts, bold colours and sleek shapes. 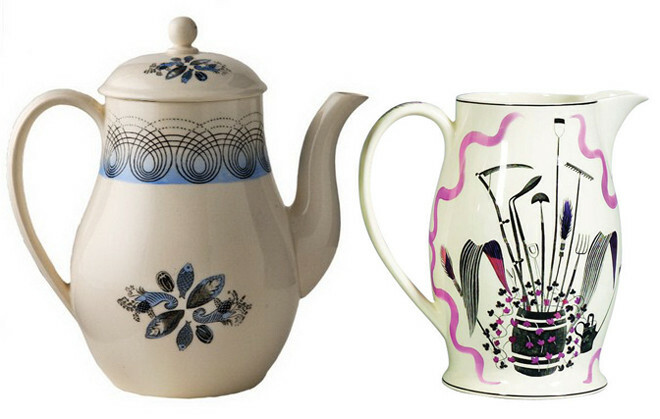 Being something of a Wedgwood collector myself, I was intrigued to learn more about his work. 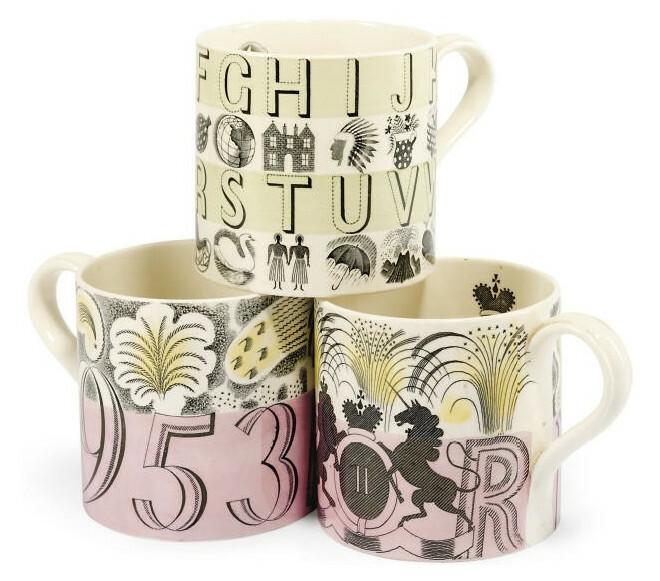 Below are some examples of his ceramics for Wedgwood. The most prized of all are his mugs and jugs, which can fetch between $200 and $400 each, depending on their condition and rarity. Ravilious was presumed dead in 1942 when his plane went missing off the coast of Iceland. 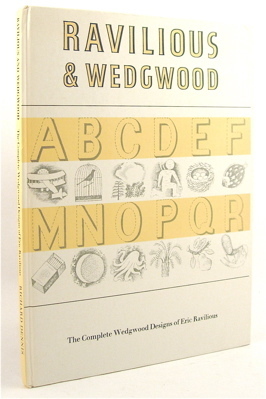 This book is a catalog of his complete designs for Wedgwood. It is out of print but still available online. It is set to become part of my library!